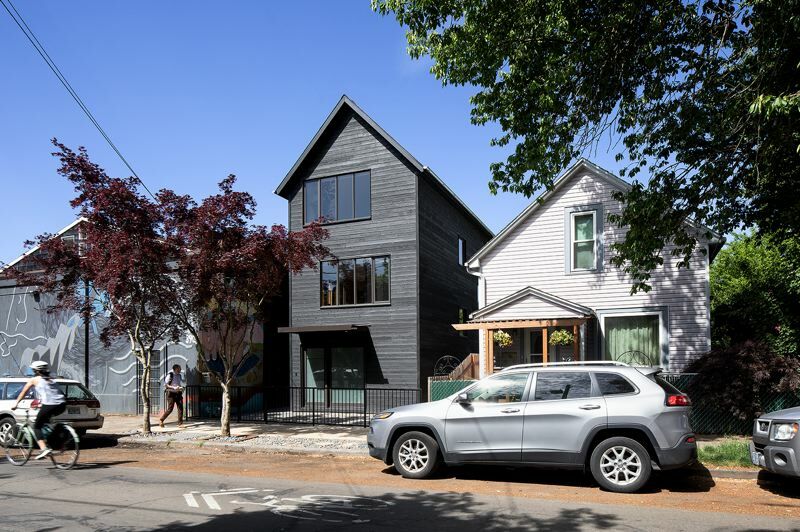 The recent Portland Architecture Awards, organized by the American Institute of Architects, Portland Chapter, showed the architectural scene in Portland is maturing. There were 80 entries this year, up from 62 in 2017, a clear sign that not only is the construction industry still booming, but that architects are designing projects within a wide variety of markets locally, nationally and internationally. The Business Tribune talked to Robert Hoffman, AIA, the Executive Vice-President of AIA Portland and AIA Oregon, who singled out a few projects, not for being better than the others, but for the way they illustrated aspects of Portland's design industry. One of the most complex institutional projects, by one of the best-known Portland firms, won big. 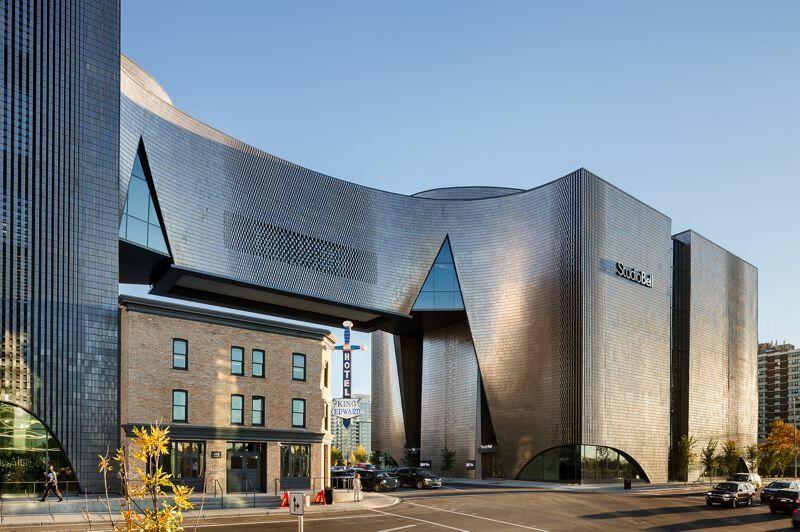 The National Music Center of Canada in Calgary was designed by Allied Works Architecture. A gleaming modern castle which dwarfs the traditional brick building next to it, it is programmed to be "equally a museum, performance hall, interactive music education center, recording studio and broadcast center." Allied Works says the building is organized as "a series of nine interlocking towers... Wrapped inside and outside in glazed terra cotta that evokes the earth and light of the prairie, the formal and material expression allows for a range of dynamic viewpoints and connections to the surrounding context." Hoffman calls it "an amazing building." He said that the judges, reported a significant debate about its interaction within its immediate context, as part of the building comes down next to a historic building. But the jury also stated that the overall resolution of that project, "the way the spaces work and the use of materials and natural light was masterful." The judges, all architects from Philadelphia, regardless of some mixed opinions, awarded it an honor award, the highest level of award in AIA design competitions. 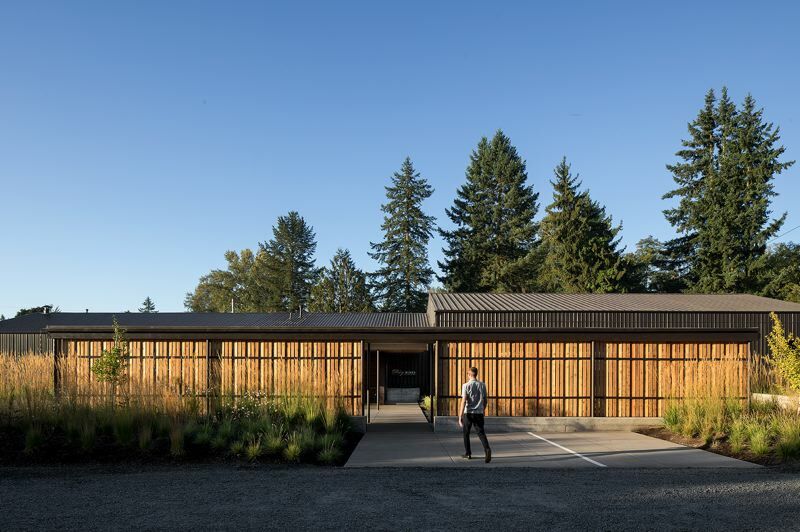 In contrast to this national museum, the judges awarded another honor award prize to a modest remodel of a winery building, at the Furioso Vineyards in Dundee just outside Portland. Waechter Architecture and Rand Pinson's work for Giorgio Furioso took a standard industrial building and turned it into a sculpture whose asymmetric metal roof hovers above a wall of glass. The light-filled tasting rooms are where the tourists can drink wine and look out over the vineyards and rolling hills that produced it. The mechanical room has been screened from view by vertical wooden slats, a move reminiscent of Japanese great Kengo Kuma. "The way it connects people to the site, the creation of intimate spaces, the detail of the eaves, the metal on the roof, the big singular opening, the mechanical room, it's like an intersection of a farm building with a church." An honor award, in the small project category, went to Fieldwork Design & Architecture for their remodeling of a basic building belonging to Day Wines in downtown Dundee. It is right by Highway 99, yet the judges marveled at how it creates a series of thresholds as visitors penetrate from the parking lot to the tasting room. It gives a feeling of connection to wine and to the land. "The use of material is simple yet sophisticated: there's gravel, concrete and wood all there in the same plane defining outdoor spaces and circulation very clearly," said Hoffman. "They really created an identity for this wine maker, a brand. It's an experience. Drinking that wine here would be very different from drinking it at home." Hoffman says Fieldwork has architects, interior designers and makers on staff. "It's a remodel, but they created this series of absolutely wonderful spaces. The budget was less than half a million (dollars) and it was 11,700 square feet — that's tiny!" forward — they present great opportunities to interpret the process of both making and experiencing wine. There's always a place you make the wine, a place for visitors (the tasting room) and a series of outdoor spaces. 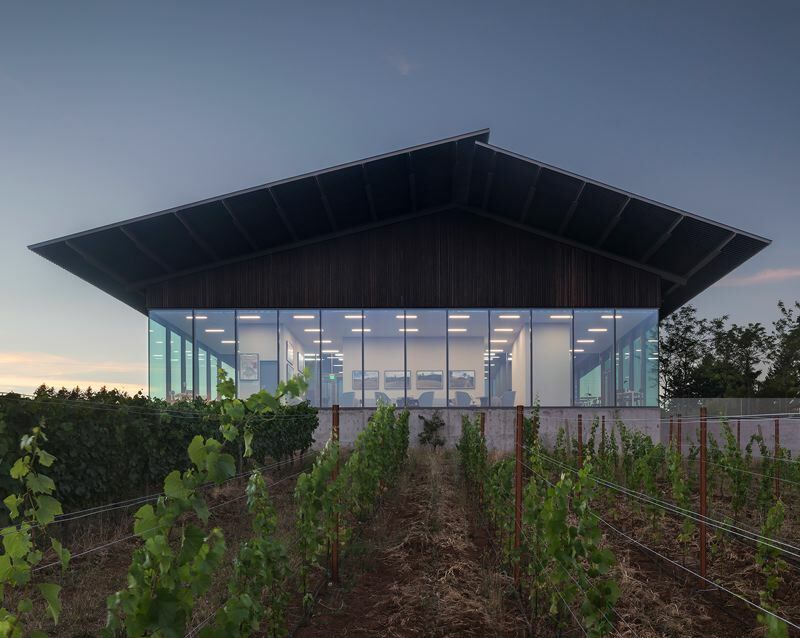 This gives architects a chance to work with their clients to develop a unique expression of the vineyard, the winemaker and to make something that has a clear relationship to the landscape. Many of them start out as little industrial buildings but as the fame of the wine spreads and they attract visitors, they need to shape up. They become an expression of the wine that's being made, and a place to socialize. "And they're often incorporating a regional materiality that ties them to the traditions of winemaking and to Oregon. What architect wouldn't love a project like that?" It was clear that quality design exists in even very small projects. "We're always wanting to remind people that good design is not about budget or size, it's how the architect, the client and project team capitalizes on the opportunities inherent to each project." Three notable small projects which won citations were by Beebe Skidmore, Ben Waechter and Open Studio Collective. Beebe Skidmore took a 1914 Craftsman home for the Stephens Street project and gave it a new lease on life. 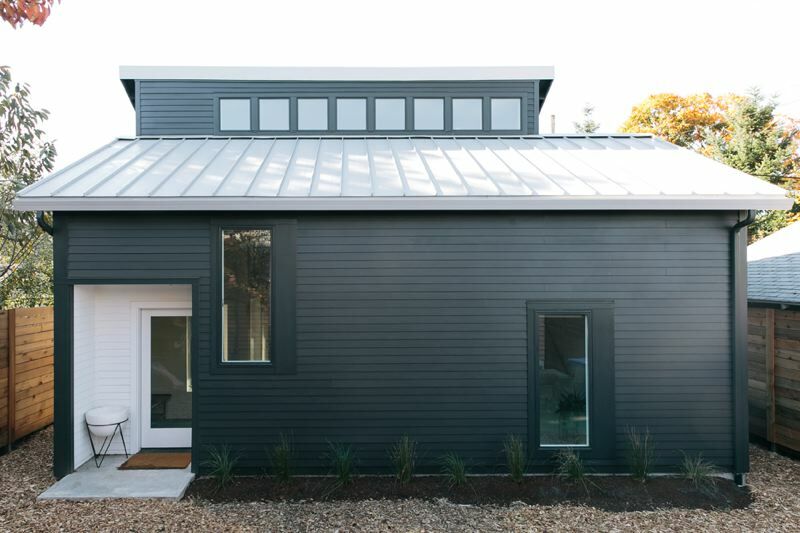 Waechter Architecture won for the Slender House, which is just that, a grey, slender house. And Open Studio Collective won for an ADU called the El Nido Residence. The Forest Park Bridges are three wooden bridges that opened in 2017. 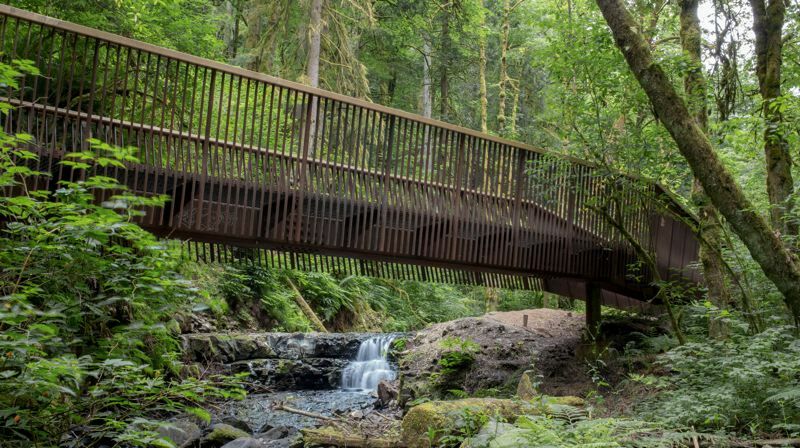 They are on Lower Macleay Trail where it crosses Balch Creek; on Wildwood Trail, where it crosses Balch Creek (just north of Cornell Road); and on Maple Trail where it crosses Saltzman Creek (between Koenig Trail and Firelane 4). What impressed the judges was how the designers at Fieldwork Design & Architecture (who also did the Day Wines building) created a series of parts that could be carried in and assembled depending on the site. "They developed a complete language and kit of parts, and showed how you could create all these different permutations and do it in multiple places," said Hoffman. 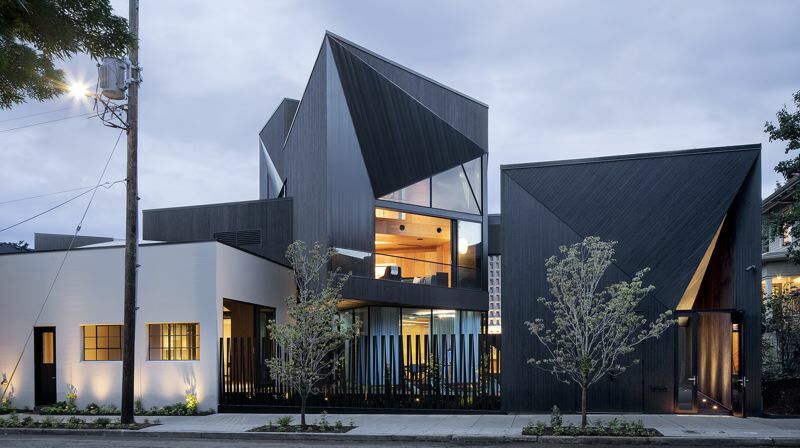 Although this project is not a traditional building submission, it stood out as a very creative and elegant architectural response to the program. Perhaps the most likely building to win an award is the wild and wacky SINBIN, a single family home on Northwest Quimby Street. From the street you can see through the fence into the house and see people moving from the hall to the music studio. Deeper inside is an actual concrete skatepark. The architect — Skylab — has created a gigantic quarter-block puzzle of a building on a street of modest wooden houses. This is guest list architecture that will attract tourists and put Portland on the map. 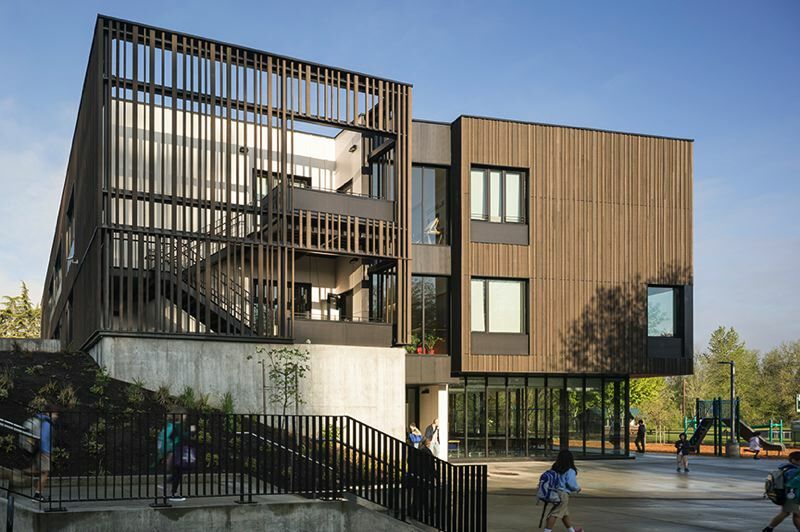 On Nov. 2, 2018, 21 projects by AIA Portland member architects were given awards by a jury of architects from Philadelphia: Jason Smith, AIA, Partner at KieranTimberlake; Karen Blanchard, AIA, Principal at SITIO; and Jeff Goldstein, AIA, Principal at DIGSAU. The jury received an electronic package with 20 slides for each anonymous entry. A couple of days later they met in their home town and spent the day reviewing the projects. They were asked not to use Google Earth or to find out more about the projects. Then they convened in Portland for two days for the event. In times past they might have visited some sites around Portland as part of judging but to make it fairer they were asked to make their minds up based on the electronic submissions. Robert Hoffman, AIA said the judges were very impressed and wished they could have given more awards, noting that some of the non-winning projects would be good enough to win in other regional competitions. He also said that "some firms see repeated success in competitions because, in addition to strong design solutions, they are good at communicating the opportunities and concepts that drive their design solutions to a jury that is not able to visit the site and has but a few words and images to understand the project." "In most cases Portland architects are good at this. It really helps the jury understand the project when communication about the design is as thoughtful as the project itself." He added that Portland firms made a great impression on a thoughtful and experienced east coast jury. "They were extremely impressed with the care that went into the work, across all project sizes, saying the projects indicated a high degree of maturity and creativity." The 2030 Award for green buildings that take on the Architecture 2030 Challenge - meeting a fossil fuel energy performance standard of 70% below the average for that building type demonstrated the difficulty, nationally, of achieving this goal. This year's award submissions included only 15 out of the 80 that met this standard. 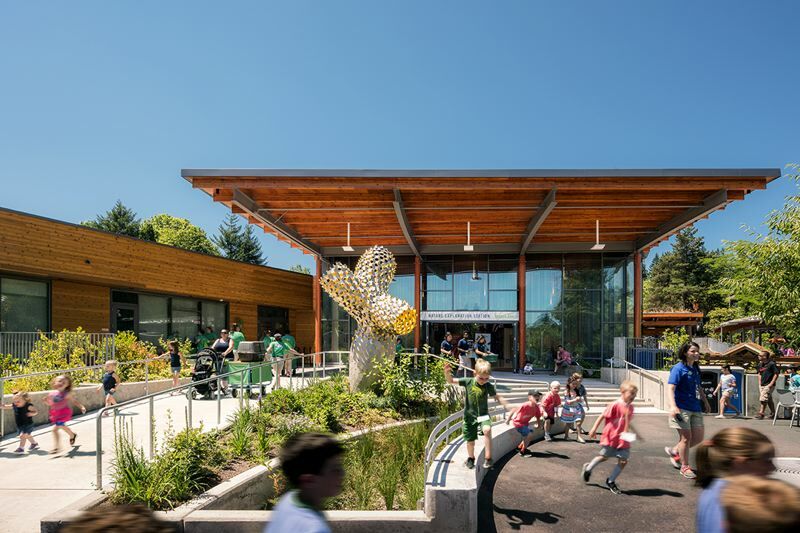 The winner, however, Opsis Architecture's Oregon Zoo Education Center, demonstrated offers a 106 percent reduction in carbon, meaning it is reducing carbon beyond the amount of energy that it is using.